Fateha has 17 years' experience in the field of public health, policy and data collection, focused primarily on health protection, epidemiology and surveillance. 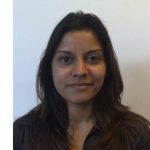 She joined PHE Screening on secondment as a screening data and information manager for the NHS Newborn Blood Spot Screening Programme. Her substantive post is as as senior data analyst within the London and South East regional team of the National Congenital Anomaly and Rare Disease Registration Service (NCARDRS).